The legendary Carl Cox is finally returning to Singapore. The famed house and techno maverick will be returning to Singapore this May for a show at Singapore's newest, and largest, club, Marquee Singapore. The DJ and producer has solidified his name as one of the world's greatest of all time, when it comes to helming the decks, even being gifted his own stage at the world famous Ultra Music Festival, titled the Carl Cox Megastructure. Carl Cox has also held a residency at Space Ibiza from 2001 to 2016. Marquee has hosted the likes of A$AP Rocky, Afrojack and Tiesto so far, over the course of its opening weekend. Kaskade is set to perform on 26 April. Showtek will perform on 27 April. Above & Beyond are slated to perform at Maquee Singapore on 19 April, while Steve Aoki hits the decks on 20 April. For more information, visit Marquee Singapore's official Facebook page. 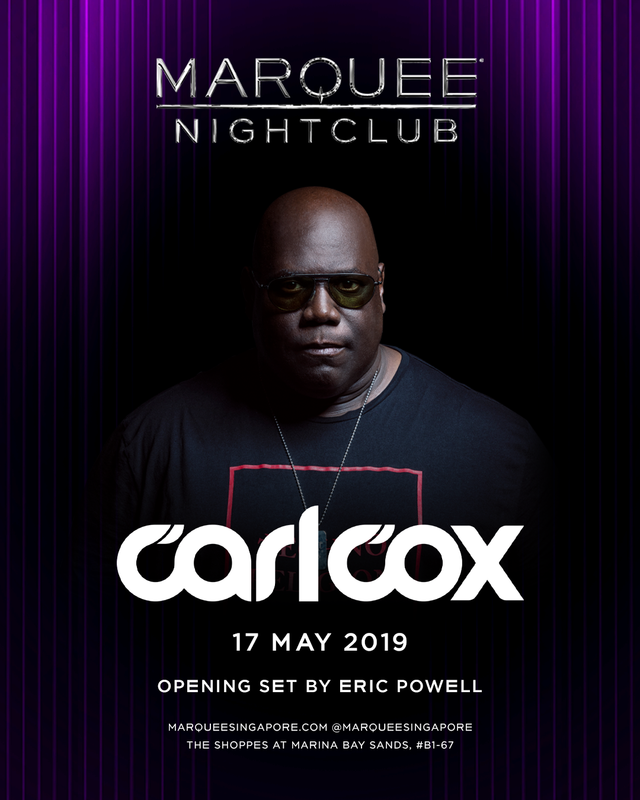 Carl Cox is set to perform at Marquee Singapore on 17 May 2019. Tickets are bring priced at $58 for men and $48 for women. Get your tickets here.